Marcus Junius Brutus was a politician of the late Roman Republic, who took a leading role in the assassination of Julius Caesar. He struck coins for the first time in 54 BC, under the name of Q. Servilius Caepio Brutus. Originally, Brutus was close to Julius Caesar, but Caesar's attempts to assume greater power for himself put him at greater odds with the Roman elite and members of the Senate. After the civil war of 48 BC Brutus was given amnesty by Caesar - but soon joined the conspiracy of senators, the "Liberators", who plotted to assassinate him. 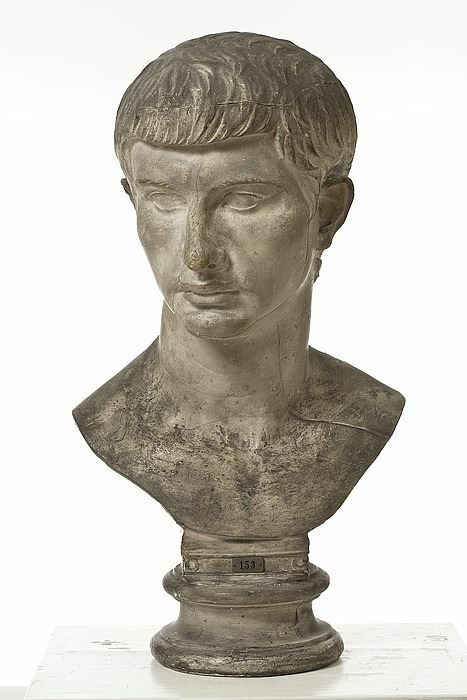 After the assassination, Brutus was embroiled in the civil war which followed and was eventually defeated by the combined forces of Octavian and Marcus Antonius at the Battle of Philippi in October 42 B.C. After the battle, Brutus committed suicide.